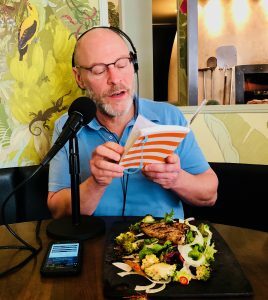 We are eating food and talking about food on this episode with Steven Rosenberg, the owner and CEO (Chief Eating Officer) of Liberty Heights fresh. This entry was posted in Podcast Episodes and tagged Bill Allred, Dylan Allred, food, Health, Liberty Heights Fresh, Steven Rosenberg, The Let's Go Eat Show. Bookmark the permalink.